Size matters, but when you’re talking about 30mm - in the context of a car - then can you really tell the difference? That’s the question when it comes to the new Ford Focus Active; a tougher-looking version of the standard Ford Focus, which has been slightly raised up - by 30mm. It’s available as a hatchback or an estate car with a larger boot. The design is meant to offer a compromise between a conventional hatchback, such as the Focus, Volkswagen Golf, or Mercedes A-Class, and taller crossovers or sport-utility vehicles (SUVs), which include the Nissan Qashqai, Ford Kuga and Volkswagen T-Roc. There is one obvious advantage to the Focus Active: it looks a little more rugged than a normal Focus and the extra height means that it’s less likely to scrape the underneath on rough, unmade roads. But if you’re looking for a high, commanding driving position, then this is not the car for you: you’ll barely notice the extra visibility that it brings. The Focus Active is not going to carry you into the wilderness either, as the car doesn’t have four-wheel drive. It may help you out of a muddy field, though, as extra driving modes, called Slippery and Trail, will help the car to keep going on loose or low-grip surfaces by adjusting the traction control (which normally prevents wheels from slipping). That’s a different approach to the car’s rivals, which include the Volkswagen Golf Alltrack, Seat Leon X-Perience and Skoda Octavia Scout, which include four-wheel drive as standard (the latter two cars are no longer available new). These are only available as estate cars. The Vauxhall Insignia Country Tourer is larger than the Focus Active and is also available with four-wheel drive. It is expensive - costing from over £27,000 when new, but the Focus Active isn’t cheap, as there are no budget versions available. The cheapest model costs more than almost £22,000 when new, and includes 17in alloy wheels, keyless start, sat-nav and a dashboard screen that includes Apple CarPlay and Android Auto for easy control of apps on the screen. The more expensive Active X, with panoramic sunroof, parking sensors and heated front seats is almost £24,500. Prices are comparable with similarly-equipped versions of the standard Focus but that’s not much good if you're looking for a more affordable option, with fewer gadgets - which the standard Focus offers. The rest of the car is exactly what you would expect from a Focus, and that includes the way that it drives. Tall cars can be unstable, but the Active’s small height increase means that it still steers nimbly and rides well, absorbing the impact over bumps and broken surfaces. It leans a little more in corners, but it’s not uncomfortable. Inside, there’s no extra space, so headroom and legroom is decent, without being outstanding. The Skoda Octavia Scout is much more spacious. Boot space is likewise good, without being class-leading, with the Octavia Scout’s 590 litres beating the Active estate’s 575 litres. The fit and finish of the interior is good, but the design doesn’t stand out - the same could be said for most cars in this category, apart from higher-end models, such as the Mercedes A-Class. The same goes for the dashboard screen, which is usable and fairly intuitive, without being at the cutting-edge of technology. The standard Focus has an excellent five-star safety rating after independent tests in 2018 by Euro NCAP, and for many buyers, it's going to be all the car you'll need with a greater choice of specifications, features and engines. The least-powerful of the two diesel engines is the economy champion with official fuel economy as high as 62.8mpg. If you can stretch to the expensive Active X model, the panoramic sunroof brings more light to rear passengers; parking sensors are useful too, and the 1.5-litre petrol engine offers decent power and fuel economy. The largest diesel engine has the same acceleration figure (0-62mph in 9.1 seconds) as the biggest petrol engine, but its greater pulling power makes it quicker without needing to rev the engine. The 1-litre engine needs to work hard in the Focus Active at the best of times; if you're likely to travel with a full boot in the estate car, then you'll need lots of patience when accelerating. You'll get different levels of standard equipment with each trim level: Active models are entry-level cars. Active X cars get more equipment for a higher price. The engine size is given in litres (here it's 1.0). In general, the bigger the engine, the more powerful it is. EcoBoost engines are petrol powered, EcoBlue versions use diesel. 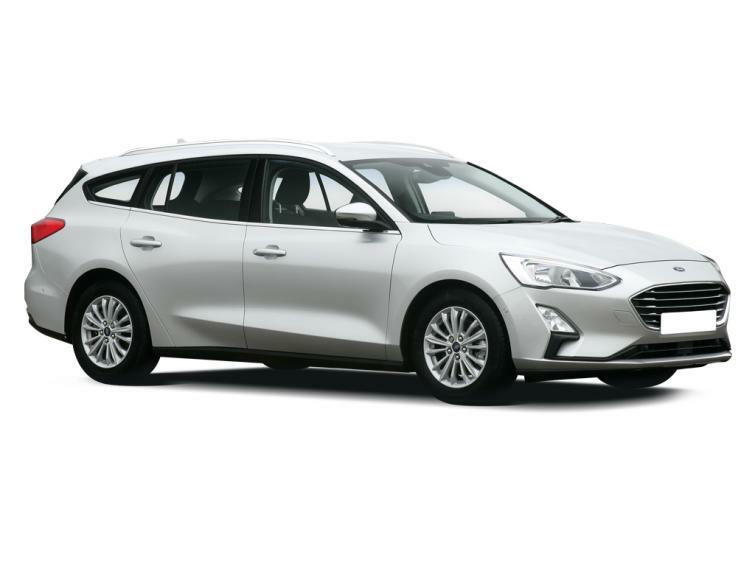 The Focus Active is available with a choice of two petrol and two diesel engines. Both petrol engines are made up of three cylinders and badged EcoBoost, the label for Ford’s recent efficiency-boosting technology. The 1-litre engine with 125 horsepower (hp) has reasonable performance, but needs time and gear-changes to get up to speed; you won’t surge forward instantly with a quick press of the accelerator. That’s why the 1.5-litre engine with 150hp is a better petrol option. The extra pulling power improves acceleration, and fuel economy is little worse at up to 46.3mpg, according to official figures, compared with 49.6mpg for the 1-litre car. The diesel engines are known as EcoBlue, with 1.5-litre and 2.0-litre options. The smaller of the two pulls strongly from a standstill but is less responsive at higher speeds: accelerating from 0-62mph takes a sedate 10.8 seconds. It’s efficient, with an official fuel economy figure of 62.8mpg. Carbon dioxide emissions are as low as 93g/km, reducing the cost of company car tax. The 2.0-litre EcoBlue engine brings more power and a reduction in the acceleration time 9.1 seconds, while the 61.4mpg and 115g/km CO2 official figures will only marginally increase running costs compared to the smaller diesel. This is best for towing, given its excellent pulling power, but is only available with the more expensive Active X model. The precise economy figures of each engine may vary depending on the specification of car - and particularly wheel size. There are just two trim levels available with the Ford Focus Active and both include chunky additions to the exterior, making the car look more muscular, although they have limited effect - including the silver skid plates underneath the car, which are meant to protect the underneath from scrapes. Selectable driving modes, including ‘Trail’ and ‘Slippery’ can improve performance when grip is low. The entry-level Active car includes 17-in alloy wheels; black roof and side mirrors; an 8in touchscreen with Apple CarPlay, Android Auto, sat-nav and digital radio; as well as automatic headlights, heated windscreen and keyless start. Safety aids include autonomous emergency braking, which can help avoid frontal collisions, as well as a lane-keeping aid that can steer the car back into line if it’s drifting out of its lane. Active X cars upgrade the wheels to 18in, while also adding keyless entry, front and rear parking sensors and electric folding side mirrors. Seats are improved with partial leather upholstery, an electrically adjustable driver’s seat and heated front seats. There’s a panoramic sunroof included too, along with the Ford Pass Connect package, which includes eCall (which connects the car to an emergency call centre in the event of a crash), wi-fi hotspot and live traffic updates to the satellite navigation system. The latest Focus is too new to appear in consumer satisfaction surveys but the last generation was a respectable 33 out of 75 in the 2018 Auto Express Driver Power survey. As long as the Focus Active has improved on the older car, then this bodes well. The standard Ford warranty of three years and 60,000 is fairly standard for the industry, but pales in comparison with those now on offer from Hyundai (five years) and Kia (seven years). The Focus Active has just gone on sale at the time of writing, so it's too early to see any examples on the used market. It’s not yet clear how popular the model will be. Based on figures from used car value experts CAP-HPI, Ford thinks that Active models will have the best used values of all Focus variants after three years or 60,00 miles, retaining 37.6% of their original sale price. The Ford Focus Active is a slightly taller version of the standard Ford Focus, fitted with extra body parts to make it look more rugged. It doesn't have four-wheel drive, though. Standard Ford Focus Active models include black roof rails and a black painted roof. The Ford Focus Active is available as a hatchback and estate car. Both versions are the same size as the standard car. The Ford Focus Active Estate has a bigger boot and the same small increase in height as the Ford Focus Active hatchback. The interior of the Ford Focus Active is the same as the standard Focus. An 8in touchscreen is included with Active models. Active X versions add heated front seats and part-leather upholstery. A panoramic roof is fitted as standard to Ford Focus Active X models. The panoramic roof that's standard on Ford Focus Active X models brings more light to the rear seats. Adults can sit comfortably in the back of the Ford Focus Active but there's more space in a Skoda Octavia Scout. Boot space in the Ford Focus Active is identical to a standard Focus hatchback: the 341-litre load area is fairly average for a family car. The estate version of the Ford Focus Active has more luggage space than the hatchback, with 575 litres.